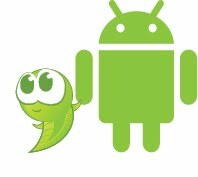 Tadpoles Blog: Tadpoles for Android is Here! Android users—you’re in luck! Tadpoles for Android is now in Beta and available in Google Play. Parents can now access historical photos, videos and daily reports from the iPhone, iPad and/or Android device! Learn more about how Tadpoles connects parents and childcare providers.